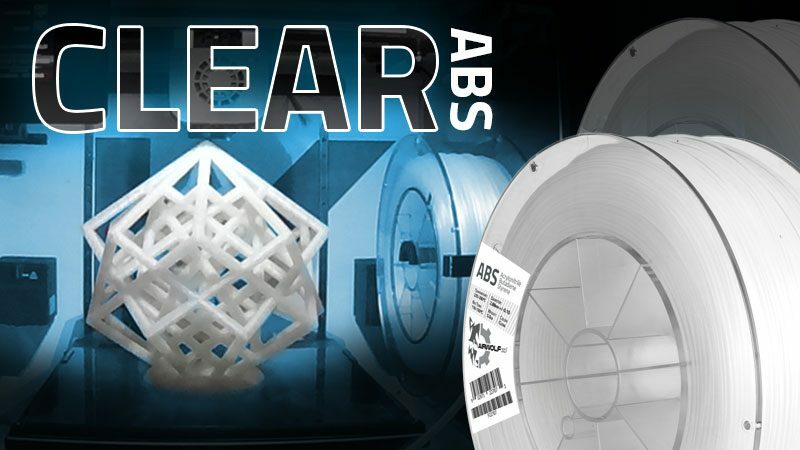 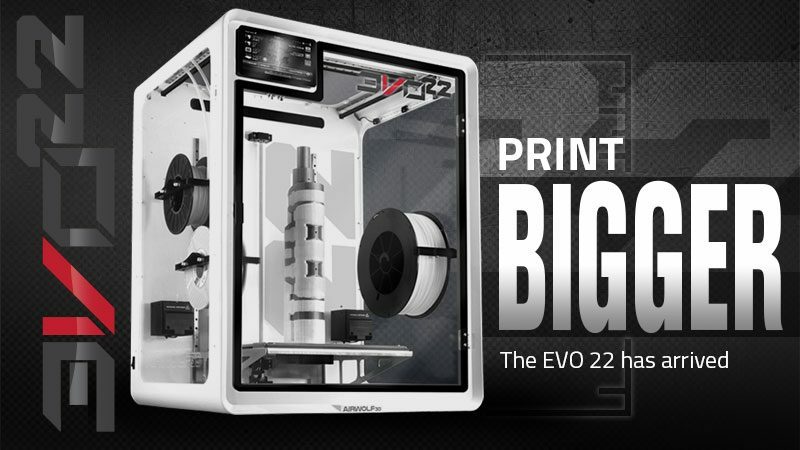 Start 3D-printing LARGE prototypes TODAY! 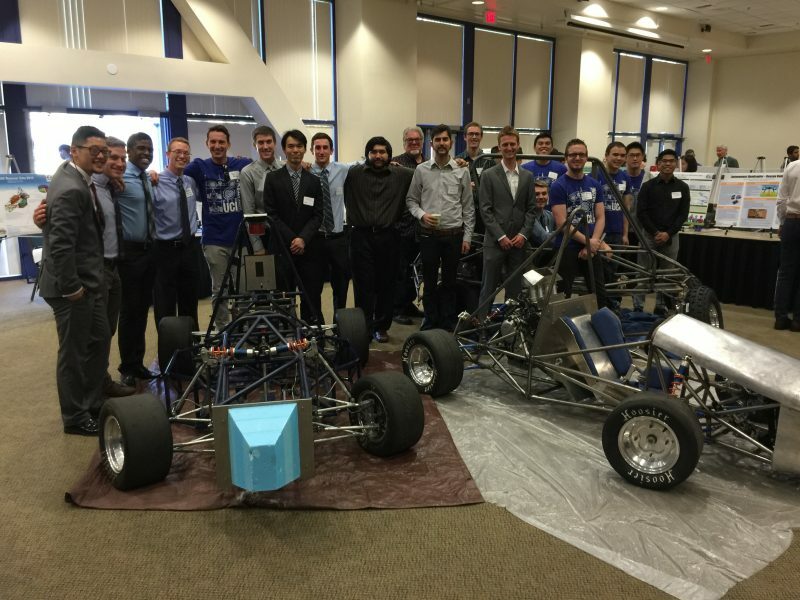 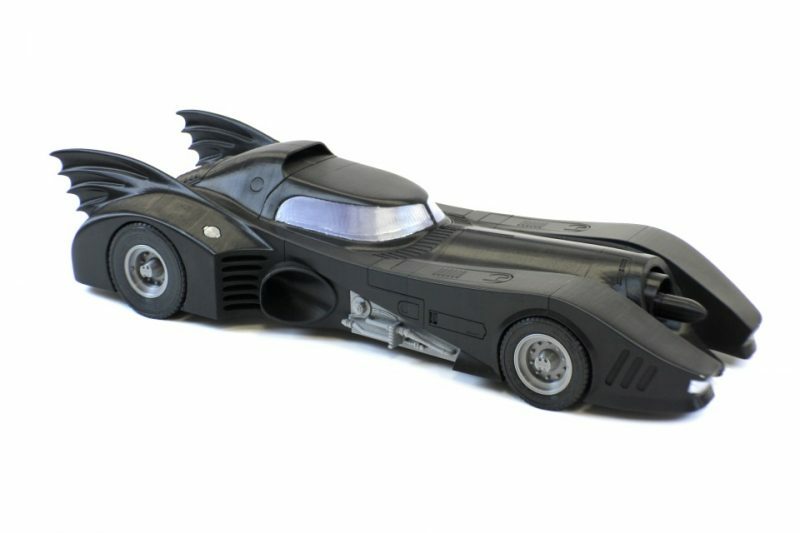 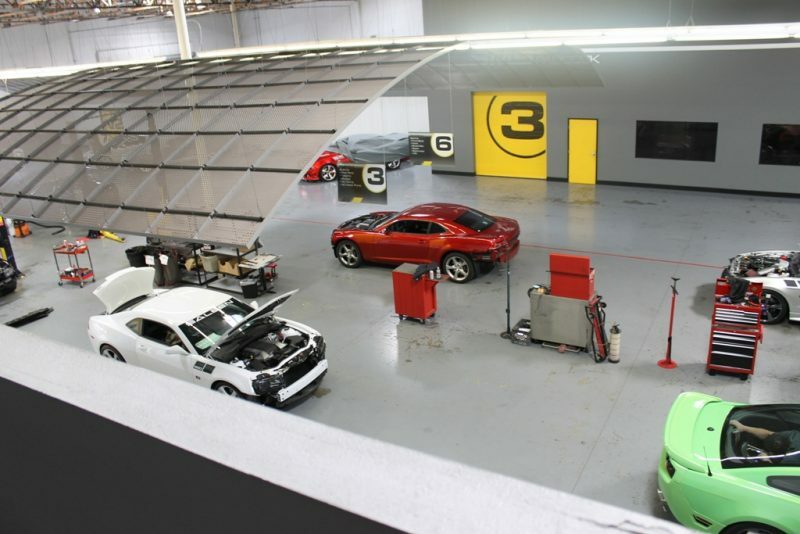 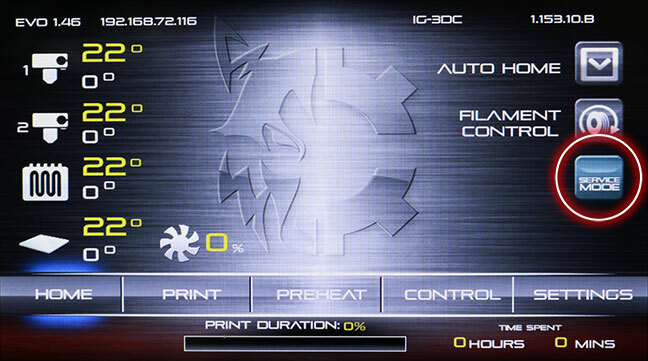 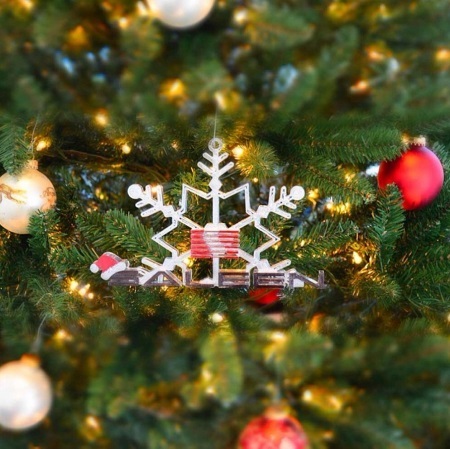 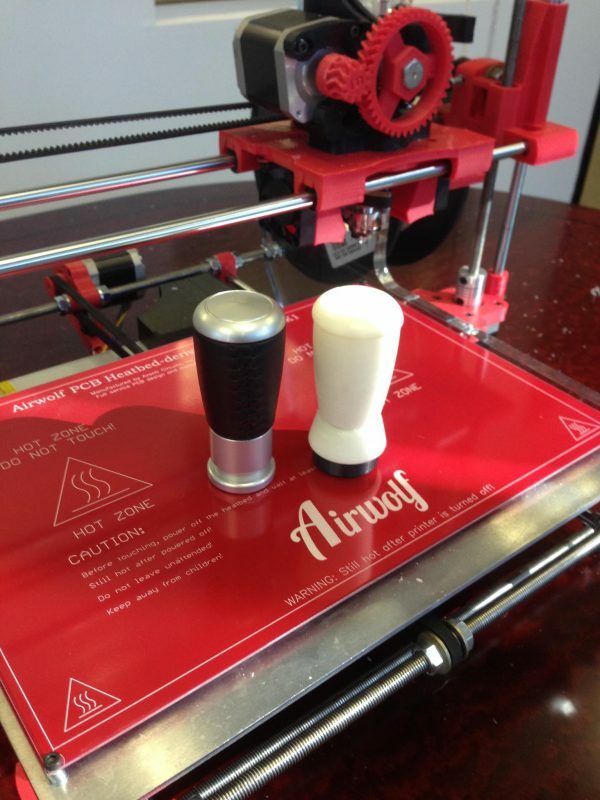 From automotive design firms to hot rod shops, find out how 3D printing saves time and money. 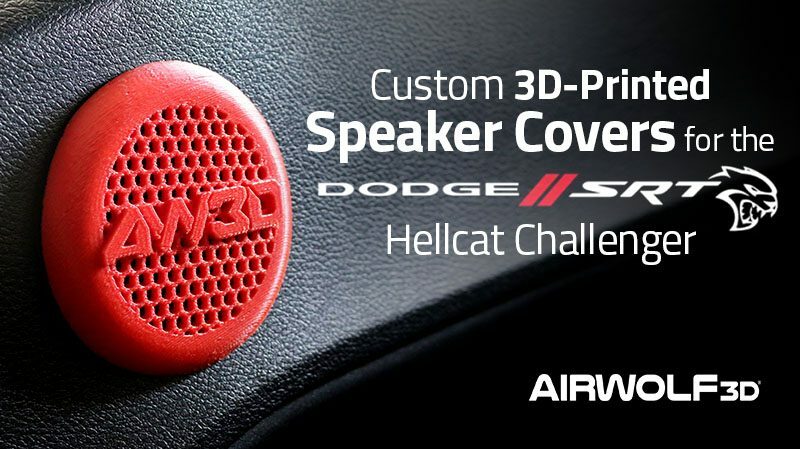 The chief designer and founder of Airwolf 3D brings 30+ years of hands-on automobile experience to the table. 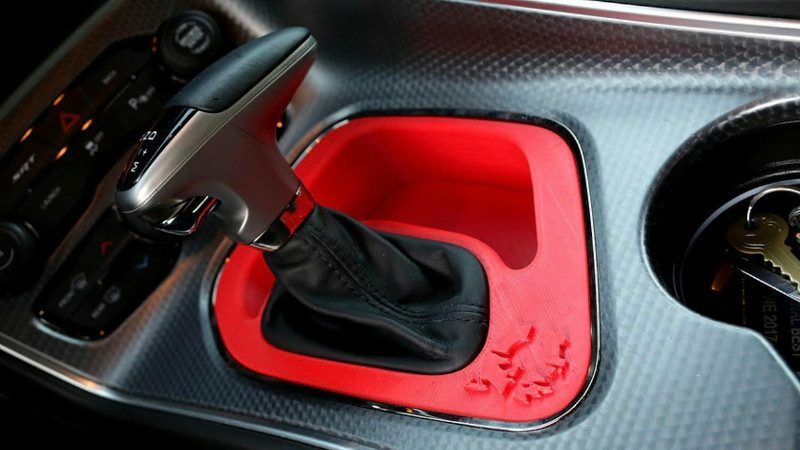 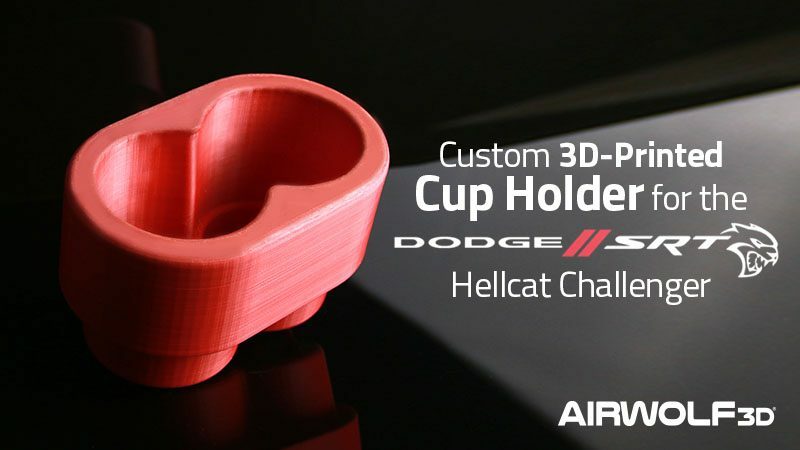 Years of skill that only can be developed by building Porsches and Saabs from the ground up are visible in the quality of Airwolf 3D printers. 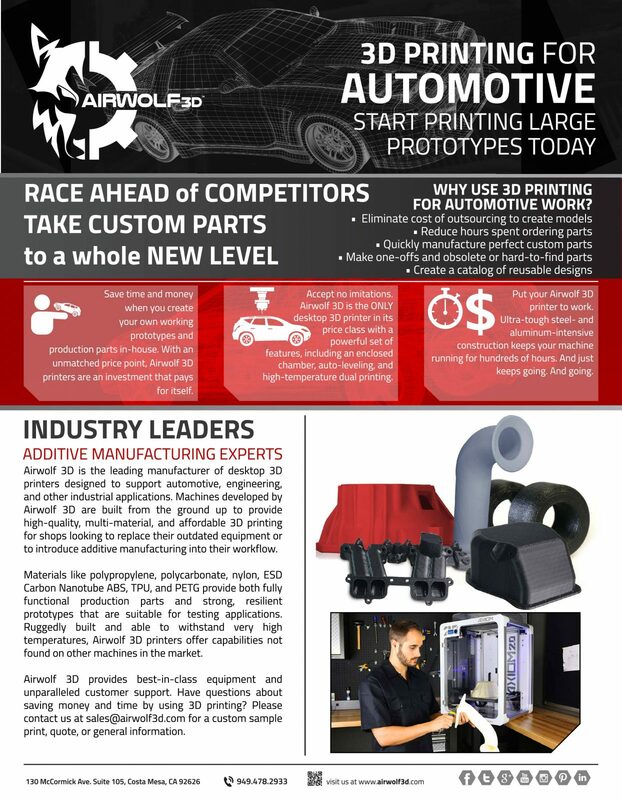 Discover why Airwolf 3D printers are widely accepted as the best 3D printer for automotive rapid prototyping. 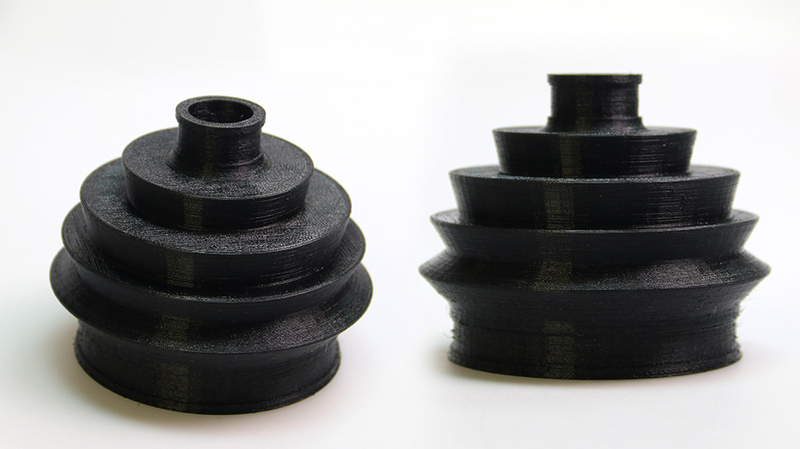 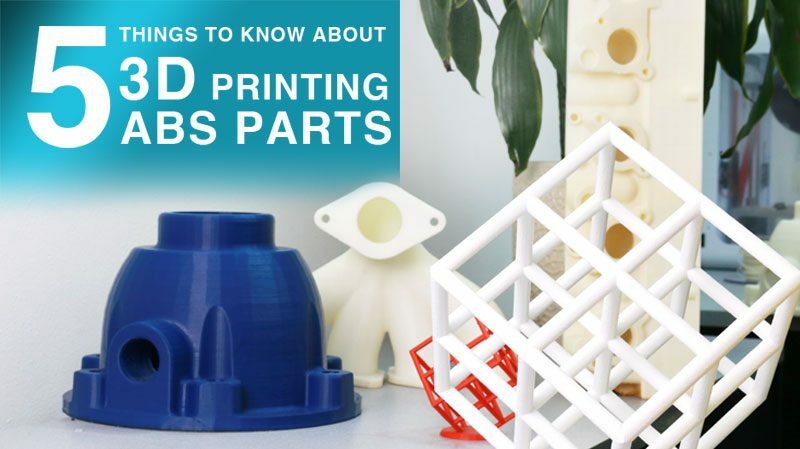 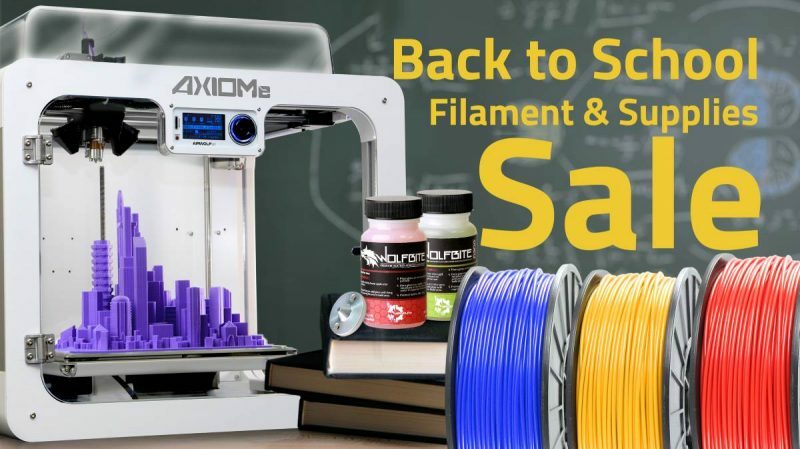 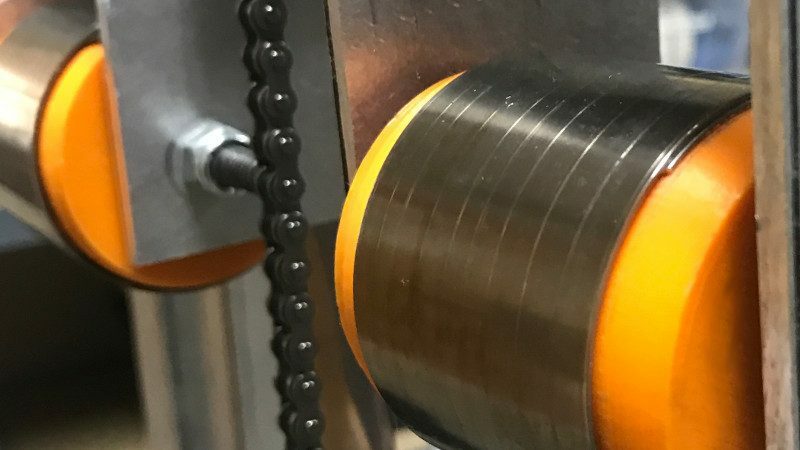 Save time, money, and hassle by 3D printing custom parts on demand. 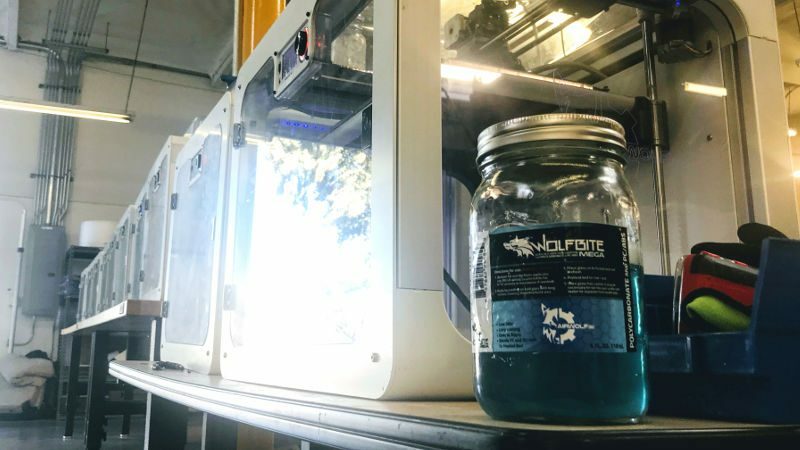 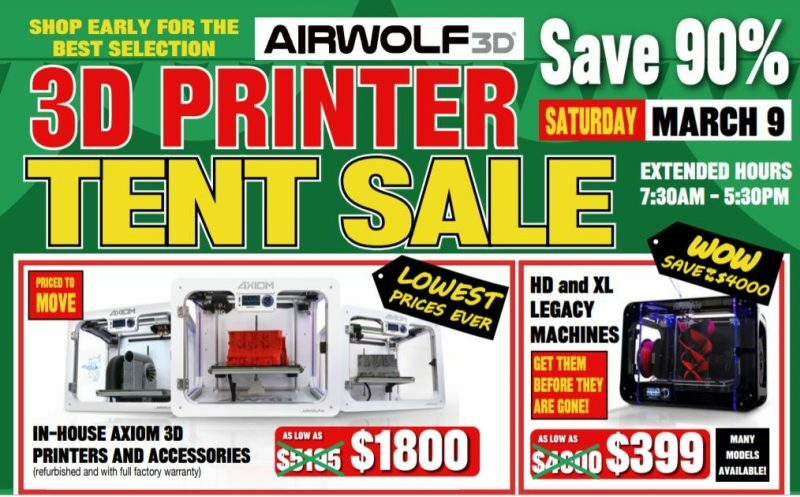 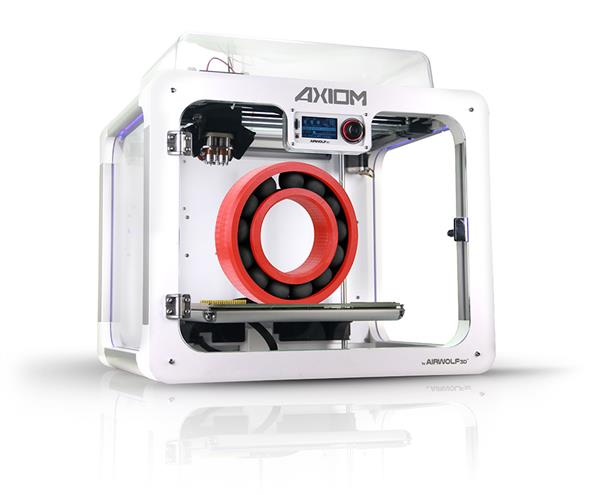 The Airwolf 3D AXIOM is the only desktop 3D printer in its price class that successfully prints in over 40 different materials, including polycarbonate, polypropylene, TPU, TPE, and more.